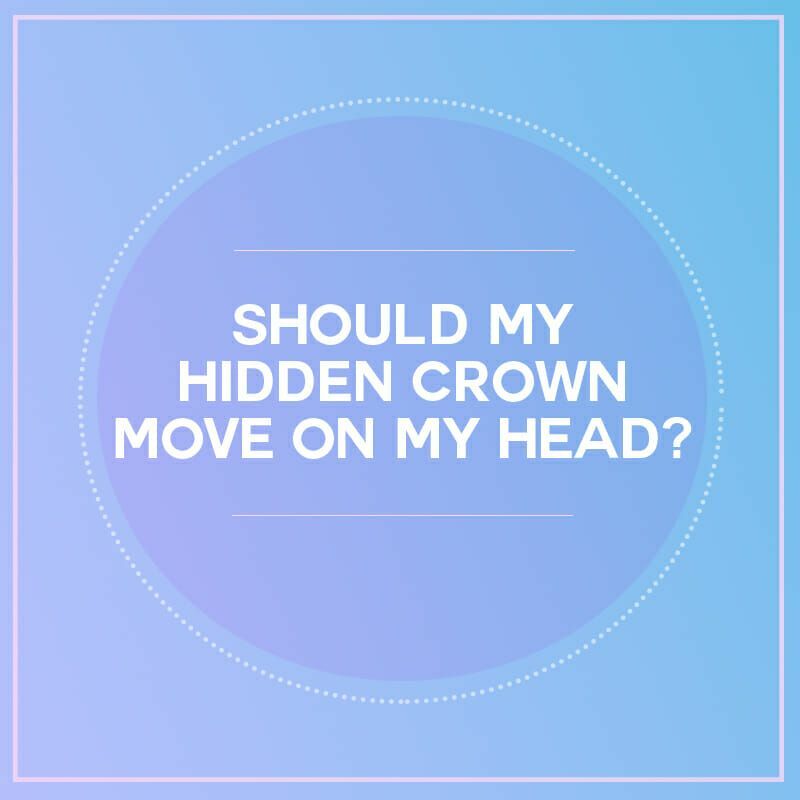 FAQ: Should My Hidden Crown Be Moving? So if Hidden Crown Hair Extensions don’t use clips…don’t they move around? Hidden Crown Hair Extensions will be moving slightly, because there is no attachment to your scalp. So the answer is: yes! But what kind of movement is normal? Normal movement is slight movement. In example, your crown will adjust a little bit when you turn your head left and right. Same situation if you move your head up, down, and around. But don’t worry! Your Hidden Crown Hair Extensions won’t be flying off. These are very secure if they are fit properly. Ensure the wire of your crown is sitting only 1 – 1 1/2″ away from your hairline; if the wire is too far back, then it will not sit properly. If you’re a new user, give your crown about a week to mold to your scalp!